Dog bloating – gastric dilatation volvulus – is a life-threatening emergency in dogs. Gastric dilatation means the stomach is distended with gas or fluid. Gastric volvulus means the stomach is twisted. 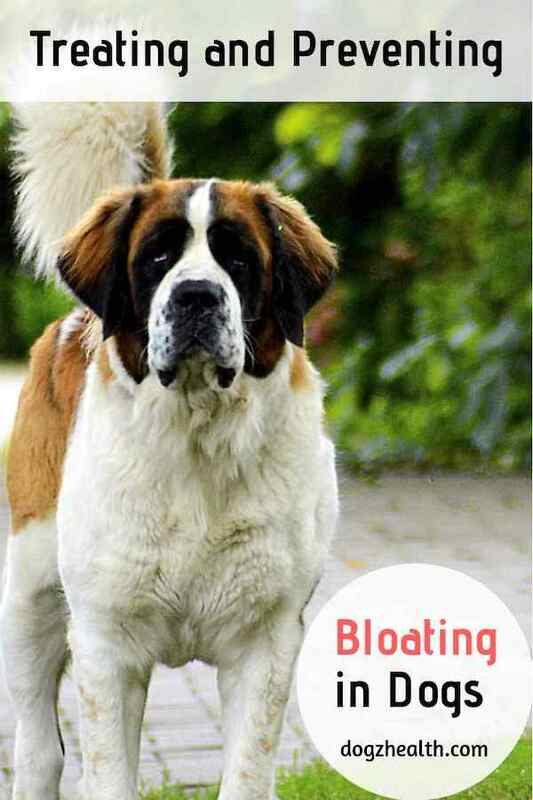 Read this page to learn more about the symptoms, causes, and treatment of bloating in dogs. Among medium-sized dogs, the Chinese Shar-Peis and Basset Hounds have the highest incidence of bloat. Bloating can occur in dogs of any age, but usually middle-aged to older dogs are more susceptible. Bloating is one of the top killers in dogs. The mortality rate of dog bloat is about 50 percent. It is therefore important to learn more about this deadly condition. Bloating is one of the top killers in dogs. The mortality rate of dog bloat is about 50 percent. When we refer to bloat, we are actually talking about two conditions. One condition is “gastric dilatation”, meaning the stomach is distended (bloated with gas and fluid). The other condition is “volvulus”, meaning the stomach is twisted after distention. A “torsion” is a twist of 180 degrees or less. An actual volvulus is a twist of 180 degrees to 360 degrees or more. The mechanism of bloat in dogs is rather complicated. Simply put, when volvulus occurs, the esophagus is shut off, preventing the dog to relieve stomach distention by vomiting or belching. In addition, the duodenum is pinched off, preventing air and fluid from escaping from the stomach. As a result, the stomach traps gas and fluid inside and the material begins to ferment. Very often, the spleen becomes entrapped as well, and its blood supply is cut off. The twisting can also completely block entry of blood supply into the stomach. As the blood supply is cut off, the stomach tissue begins to die. Understandably, without timely treatment, volvulus can lead to a number of critical problems. For example, acute dehydration, cardiac arrhythmias, gastric perforation or even rupture of the stomach. When the stomach ruptures, the lining of the abdominal wall will get inflamed. This can lead to shock, and death. Note that at its early stage, dog bloat may not cause the above signs. The dog may have gas and simply look uncomfortable and lethargic, and the stomach may feel a bit tight (but not distended). So, even if your dog does not show the above symptoms, but has a tight stomach and cannot vomit or belch, watch him carefully. Be prepared to take him to the veterinary clinic in case his conditions deteriorate. Certain breeds of dogs (deep-chested dogs) are predisposed to dog bloat simply because of their anatomy. In addition, eating habits can also cause bloat in dogs. 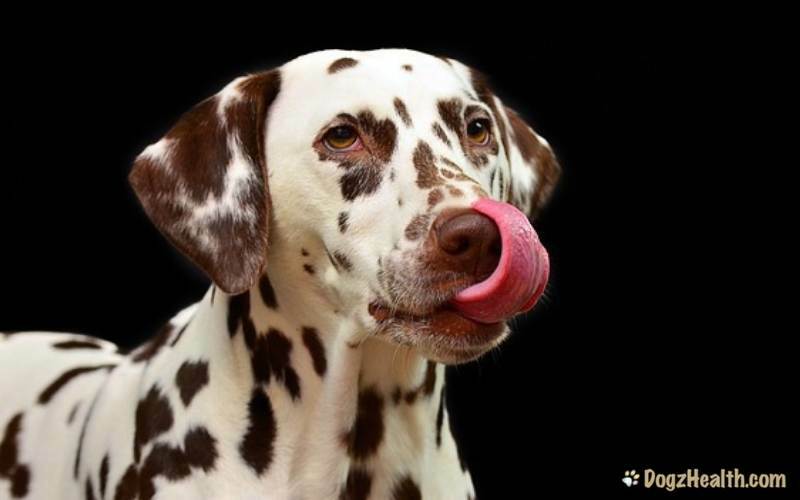 For example, if a dog gulps down his food, he is likely to swallow a lot of air as well. This may cause stomach distention. Drinking a lot of water immediately after eating is another likely cause of bloat. According to a study conducted by Purdue University, dry food with a fat source in the first four ingredients listed on the label are more likely (170%) to cause bloat in dogs than foods without a fat source in the first four ingredients. Finally, exercising vigorously before or after eating can also cause bloat in dogs. If you suspect your dog is suffering from bloat, don’t waste any time. Take him to the vet immediately! For stomach distention (without volvulus), a vet will pass a long tube into the dog’s stomach through his mouth. This is to relieve the trapped air and fluid in the stomach, which is then washed out. The vet will withhold food and water for the next 36 hours. During this time, the dog will receive intravenous drips instead. If the vet suspects volvulus, he will take X-rays of the abdomen. In the case of volvulus, emergency surgery is necessary to reposition the stomach and the spleen, and/or to remove any unhealthy tissues in the stomach and spleen. The vet may also suture the wall of the stomach to the abdominal wall to prevent future occurrence of volvulus. This is a procedure called “gastroplexy”, or anchoring surgery. There is a 70-percent chance of recurrence of bloat in dogs who have received nonsurgical treatment. 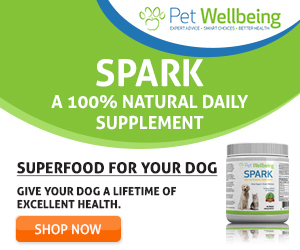 Feed your dog more frequently (e.g. three times a day in smaller portions instead of one big meal). Avoid feeding dry dog food that has fat among the first four ingredients on the label. Limit water intake immediately after eating, and avoid letting your dog drink a lot of water at any one time. Avoid vigorous exercise immediately before and after meals. Be observant and be aware of the early signs of bloat. Seek immediate veterinary assistance when bloat is suspected.